Support a shelter for the homeless: donate a car. Recently a homeless woman made national news by returning a purse she found with $10,000 cash in it (http://www.torontosun.com/2012/10/13/homeless-woman-who-returned-purse-with-10000-awarded). In our society it generates a buzz because we know many wouldn’t do what she did, especially given her situation. As people ask, “What would YOU do,” it creates inner dialogue that many are uncomfortable with because we aren’t entirely sure what we would do. It is certainly a good reminder however, that we need to think about our values and determine ahead of time what would happen if…..
Having said that, if you are reading this article you are likely of a giving nature already, looking for a way to help. Supporting registered charities across the country that are mindful of people like the homeless lady mentioned in the news story, is one way you can help. Don’t have any cash on hand, or feel like there are just too many great causes to support and you don’t know how to help them? 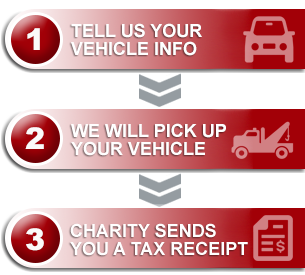 One great thing about Donate A Car is that when you donate your car/truck/boat/ RV, you get to choose the charity you wish to support, and you don’t even have to find extra cash. It is sitting right there in your yard! According to the CHRA (Canadian Housing & Renewal Association), conservative estimates are that 150,000 – 300,000 Canadians are currently homeless. That is actually staggering if you let it really soak in. There are so many reasons that people end up on the streets and it is always interesting to hear people’s thoughts and often their judgements. Everyone has a ‘back story’ and although it’s easy to assume what some of those experiences have been, maybe it’s time for us to take pause and consider that regardless of the reasons our responsibility becomes one of support towards change. With the numbers in the hundreds of thousands, there are many aspects to consider when dealing with the issue of homelessness in Canada and it`s not something any one of us can solve on our own. The winter season is fast approaching and it is definitely on our minds at Donate A Car to find ways to support those who need it, so we’ve listed a few of our charities of choice who care for the homeless in our nation. If you have a vehicle (or you know someone with one) sitting unused, please consider taking the time now to submit it online and show your support to those across Canada who need a hand up – not a hand out.